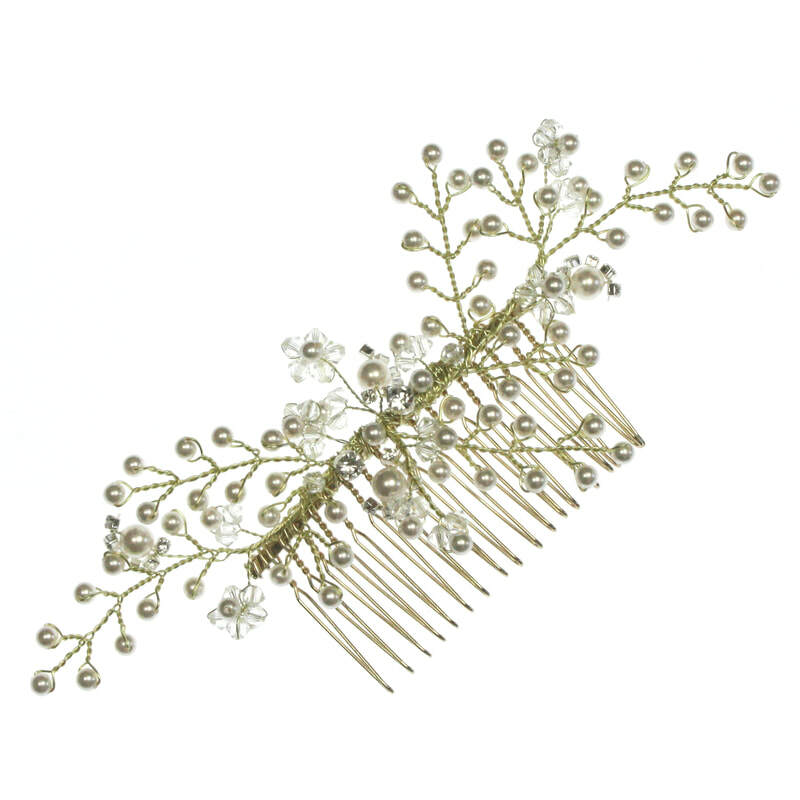 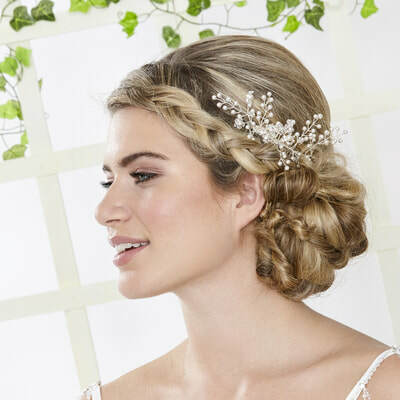 Clusters of tiny crystal flowers set amongst hand wired branches of pearls make up this beautiful rambling wildflower design. 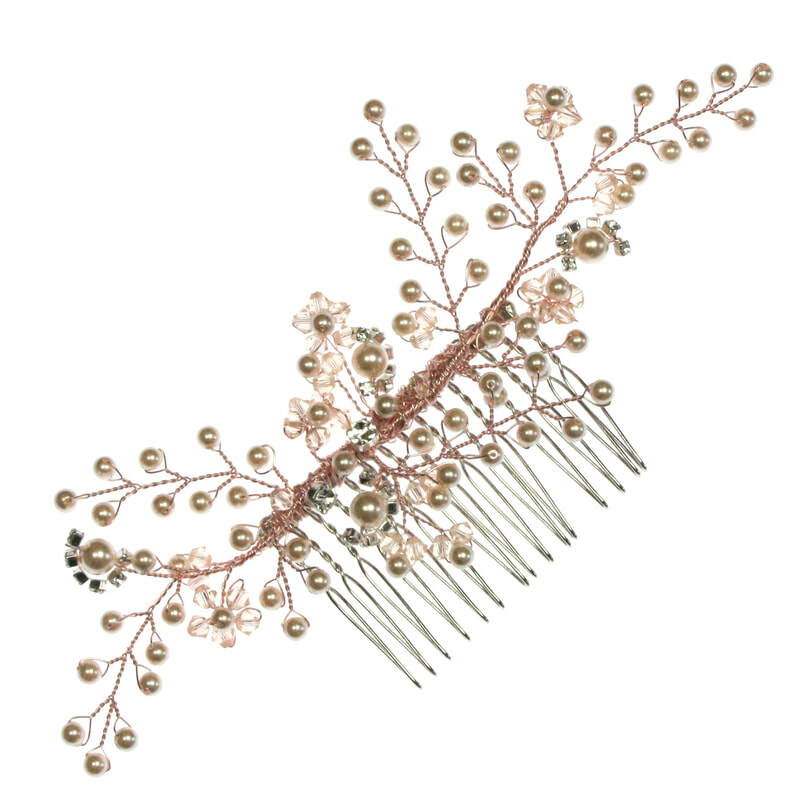 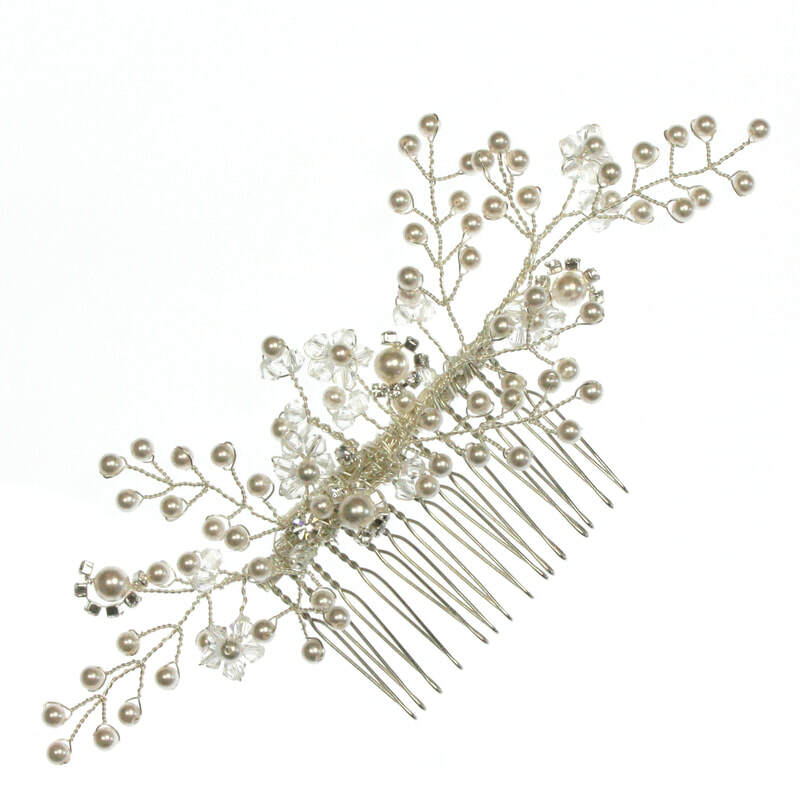 The design is wired onto a 6cm metal comb to secure into the hair. 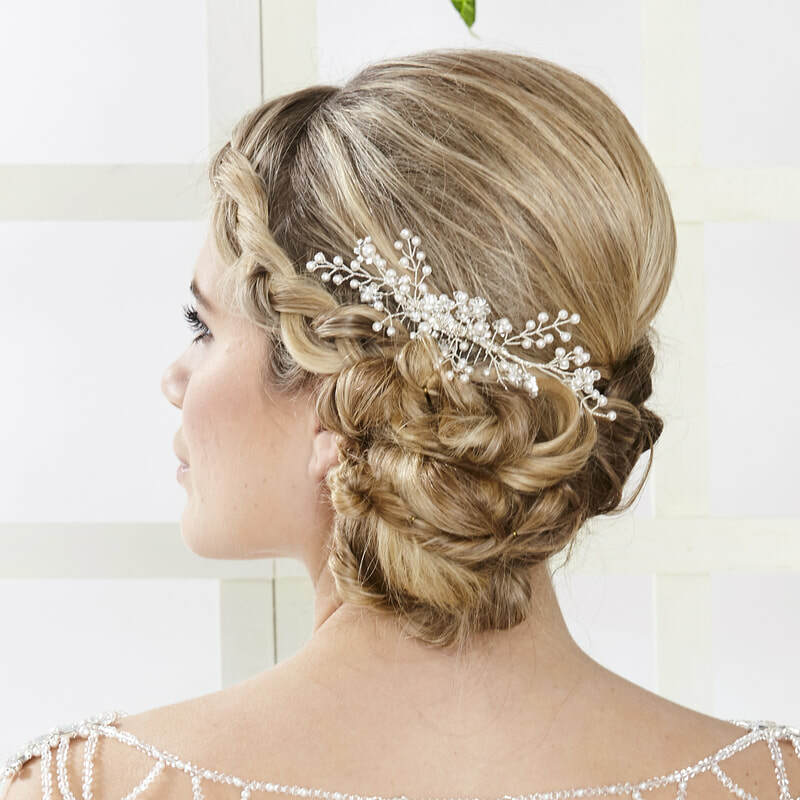 Model wears AR551 in Silver with Ivory Pearls & Clear Crystals.